Before beginning a Scottsdale kitchen remodeling project, you need to do some careful planning and legwork. Taking the necessary steps to make sure you get the desired result, as well as protecting you and your home, will help remove much of the anxiety homeowner have with remodeling projects. The following list provides some useful tips for your Scottsdale kitchen remodeling. Set your budget. You’ll waste a lot of time and experience frustration if you don’t adequately determine what your desired Scottsdale kitchen remodeling will cost. The last thing you want is to be disappointed that you can’t get the kitchen of your dreams. But, it can be equally problematic if you spend more money than you have. Establish a list of what’s most important to you then try to make your budget accommodate these things. In other words, scrimp where you won’t notice and splurge on what you absolutely don’t want to live without. Check out Scottsdale kitchen remodeling contractors. The more thorough you are with you contractor research, the more you can be assured of finding a qualified and reliable partner. Get several bids and check references carefully. Then, compare each contractor’s qualifications to identify the best match for your project. The job’s specs should be the same on each contractor bid you receive. And, don’t be persuaded by the lowest price. You may end up paying more in the long run by selecting a less qualified contractor. Things to check out during your research are proof of proper licensing and adequate insurance. 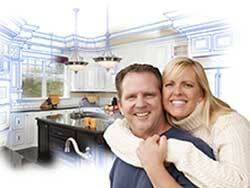 Scottsdale kitchen remodeling contractors must have liability, property damage and workers compensation insurance. They also need to provide you with a detailed list of past customers that you can check out on your own. Expect inconvenience. It’s important your expectations about the construction process be realistic. Carefully think how you will endure not being able to use your kitchen, not having access to your kitchen appliances, and living with dust, noise and strangers in your home. If you properly plan for these annoyances, chances are the Scottsdale kitchen remodeling project will go more smoothly. Expect a Scottsdale kitchen remodeling project to take longer and cost more than anticipated. You and your contractor can’t predict everything that will happen during the construction process. Additional electrical work might need to be done once old wiring is uncovered. Or, flooring may become damaged during construction. These things don’t mean a contractor is “trying to get over on you.” Unexpected situations arise that must be accommodate. That’s why experts recommend you set aside 20 percent of the project’s estimate cost to cover surprises. Everyone has different ideas, perceptions and interpretations. So put all aspects of your project specifications and requirements in writing to help eliminate these differences. Also, your written contract with Scottsdale kitchen remodeling companies needs to spell out payment schedules and amounts. Make sure you’re not paying more than 20 to 25 percent of the project’s cost upfront. And, make sure the timing of the remaining payments is reasonable and protects your interests. For example, don’t make the last payment until all work is completed and you’re satisfied after the final inspection. Scottsdale kitchen remodeling can be a pain in some respects. But it can be well worth it when you see the results. Your kitchen will likely be the center of activity in your home, so you want to be sure you enjoy spending time in it. And, you’ll likely get an attractive return on your remodeling investment when you sell the home.